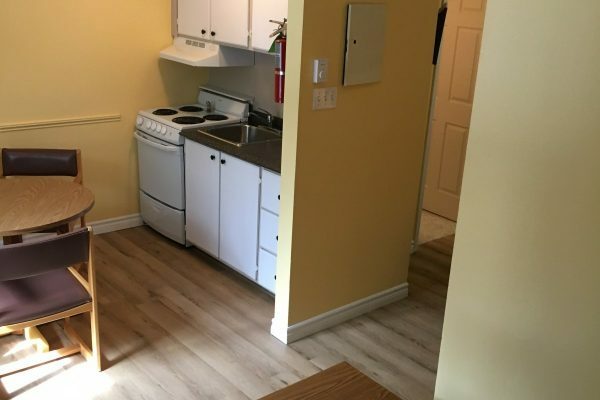 Our Efficiency Units offer lounge areas and en-suite kitchens that include such appliances as a full stove, refrigerator w/freezer, microwave, and cutlery. Ideal for an extended stay. Our rooms offer combination choices of queen & double beds in open, semi-private and private settings. 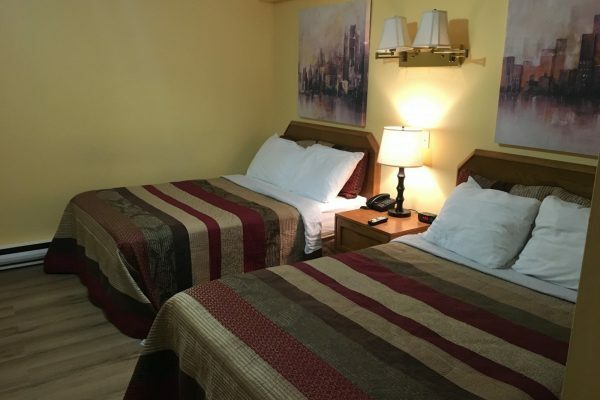 “Pet Friendly” rooms available! #104 (Standard with 2 double beds and additional exterior entrance) and #106 (Efficiency unit with 2 double beds, lounging area, kitchenette and additional exterior entrance). We offer many promotions and discounts, vacation packages, boat tours and more! After all these years, the Restland did not disappoint. It was so wonderful to share new memories with our children and grand-children. Thank you for selecting the perfect rooms for our family. We will be back! We had a fantastic room. Large clean kitchen and bathroom. Leather sofa and TV.. Free breakfast and friendly staff! 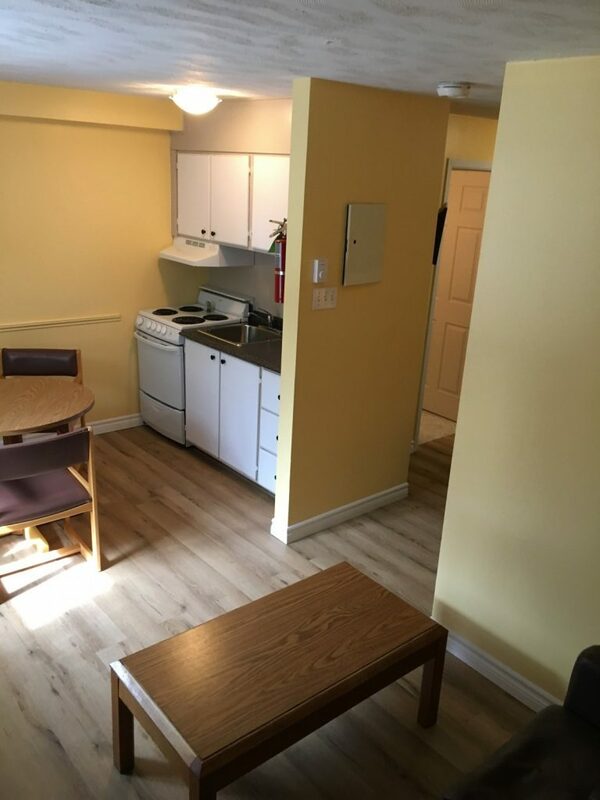 Some renos are on the way so new rooms available. Bar and lotto machines. Near shopping and restaurants. The staff are absolutely generous and professional, the food at their restaurant was like real home cooking. Yummy! The upgrades and the new look in the rooms are just beautiful. Beds are really comfortable and pillows are great. If you stay in clarenville I would recommend this hotel to anyone. All Rooms, Suites and Efficiency units are NON smoking. 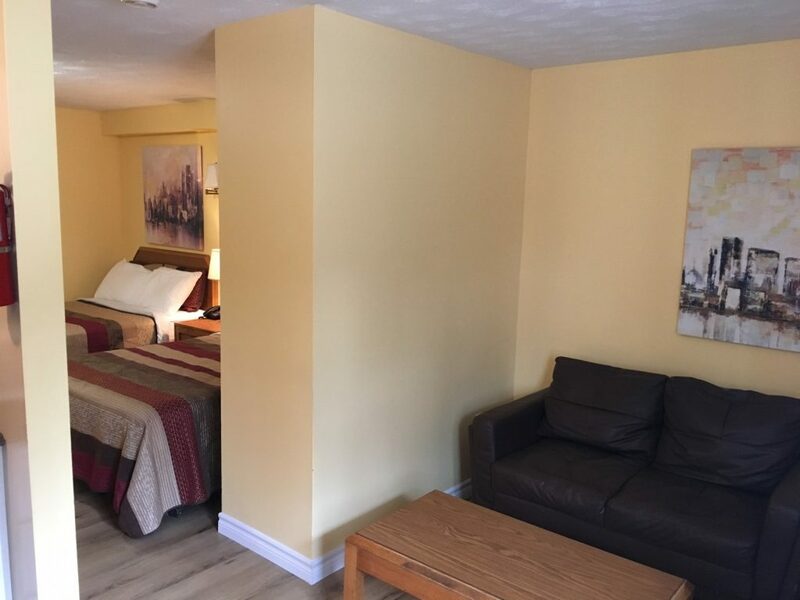 There are 2 Pet friendly rooms – #104 (Standard with 2 Double Beds and additional exterior entrance) and #106 (Efficiency unit with 2 Double Beds, lounging area, kitchenette and additional exterior entrance).